I watched two Tundra Swans feeding on Sturgeon Lake on Sauvie Island. The heads and necks were darkly stained from the turbid water. The profile of this bird seems very flat, suggesting Trumpeter Swan from a distance. But you can see the little yellow spot in front of the eye and the shape of the feathering on the face that identifies this bird as Tundra. I’m guessing the bulge at the base of the neck is due to the bird having a full crop. With such a long neck, it makes sense that the crop would extend up that far. 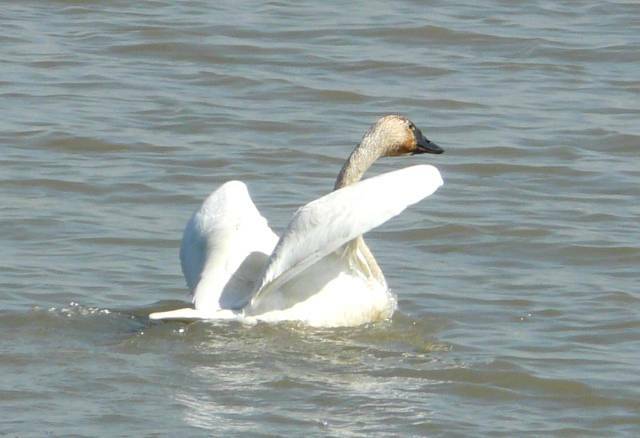 From this angle, the profile appears a little more concave, as you would expect on Tundra Swan. 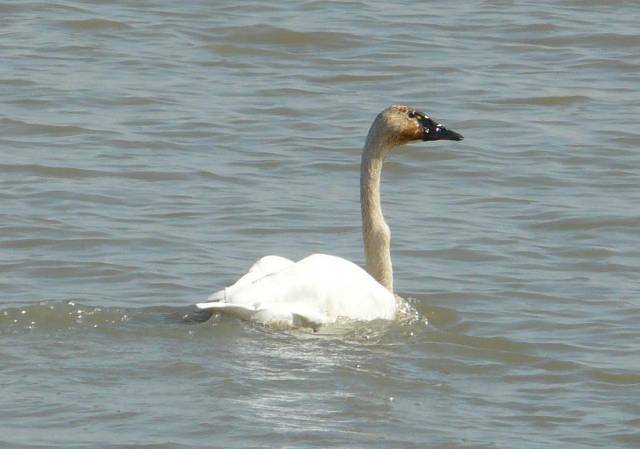 This entry was posted in identification challenges and tagged Tundra Swan. Bookmark the permalink.